QR Codes have been around for more than two decades now. Increased smartphone penetration and high-speed internet have made them a great resource for customer engagement. QR Codes are popular in countries such as UK, US, China, Australia, Canada, and India. From business cards to print media promotions, QR Codes are used almost everywhere. 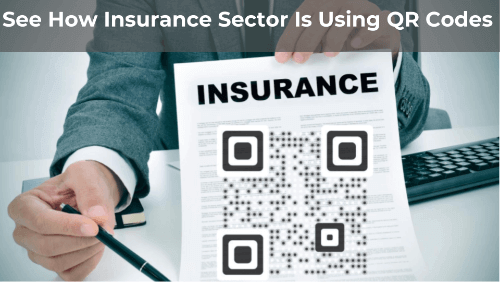 But how useful are QR Codes in insurance sector? Insurance companies are using QR Codes to not only market their services, but also make operations such as claim processing easier for their customers. Marketing brochures (such as health, travel, and auto policies) that third-party agents carry, can have a QR Code on them. 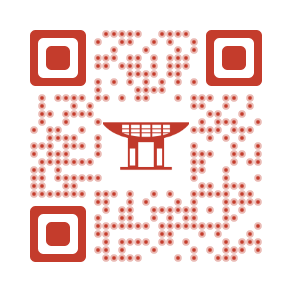 This QR Code can provide detailed information such as policy terms and comparison with other policies to the agents. Hence, QR Codes will be able provide information that could not be printed on the brochure. In addition to text, one can also link photos, videos, and audios to the brochure. If you are selling your services directly to customers, you can still use a QR Code on your brochures. This QR Code will provide the end-users with information via text, audio, and videos, which could not be added to the brochure. Say you use print media creatives (posters, hoardings, brochures, etc.) to carry out outdoor marketing campaigns. You can add a QR Code to these print media creatives and help the interested users. This QR Code will link to a quick form to request a call-back. Once users find your services suitable, they may end-up buying them. This way QR Codes can help you acquire customers via print media for your insurance services. QR Codes can not only help you acquire customers, but keep them engaged too. They make operations such as requesting a claim easier for your users. Do you have an insurance application for smartphones? Then make it easier for your customers to find and download it. Simply add an App-Store QR Code to emails or policy documents that you send to your customers. This QR Code will link to your app on Google Play or App Store. So when users scan the QR Code, they’ll be redirected to your app depending on the device they’re using. iMingle (an insurance company) uses this technique to make it easy for their customers to download their smartphone app. Send a renewal letter with a QR Code to your customers before their policy ends. If the pricing and renewal terms are acceptable to the insured, they can scan the customized or unique QR Code to make a payment. This will help them renew their insurance without filling any detailed information. National Health Insurance Administration (NHIA) allows such QR Code-based payments. Social Media can help you spread awareness about your new initiatives. And it can even help your customers raise a claim. So if you have active Social Media accounts that can help customers, then they must follow you on these platforms. You can make it easier for them to follow you by adding a Social Media QR Code on a pamphlet. As users scan this, they’ll be taken to a landing page with links to all your Social Media profiles. Then users can select the one they prefer. You can also enable QR Code verification by adding a QR Code on the policy document. It is mandatory in India to have a QR Code on the policy document (for automobile insurance). This QR Code, when scanned, leads to the policy information (number, validity, etc.) stored on the insurer’s database. Bajaj Allianz is already using QR Codes for regulatory compliance. One can use Scanova to create QR Codes that lead to policy details on a branded landing page. The best way to request a claim is a smartphone app. But not everyone downloads the app or not every insurance company has an app. However, most people carry their insurance cards with them (specially automobile and health insurance). You can add a QR Code to these cards that redirects the end-users to fill a claim form. This way, QR Code will help users request a claim with a simple scan. Alongwith requesting claims, QR Codes also make it possible for the users to explain the situation (say accident) with pictures. Here, QR Codes can help you do away with manual verification if pictures from the accident scene are satisfactory. It will help reduce the turnaround time of claim processing alongwith overhead costs. Atlas Financial Holding (US) uses this method for quick claim processing. These are some of the use cases of QR Codes in insurance sector. From customer acquisition to easier claims processing, QR Codes are of great use to the insurance sector.